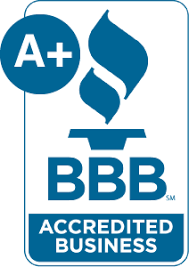 Yard Clean-Up and Junk Removal — Leticia's First Class Cleaning Inc.
A clean home deserves a clean yard! Leticia’s First Class Cleaning offers several cleaning services for the exterior of your home including window washing, yard clean-up, gardening, and junk removal to keep the outside of your home as beautiful and clean as the inside. Have the weeds started to take over your flower bed? Is your yard full of leaves? No problem! Yards and gardens that have fallen into disrepair and disorder may feel like a never-ending task when you try to take on just a little bit at a time (because those plants and weeds just keep growing and the leaves keep falling), which is why we are ready to take on yard clean-ups for you! You can leave your yard mess in our hands. Our skilled cleaners will clean up your yard, remove weeds, prune back shrubs and roses, and haul everything away. You will want to be in your yard again and ban feel at ease after a yard clean-up with Leticia’s team! Yards and garages can fill with construction debris, broken playground equipment, old furniture, bags of trash, and other cumbersome objects which are ready for the dump. Our junk removal and haul away services have you covered! Homeowners and rental property owners with trash in and around the home can get a free estimate from us to get that junk gone! We frequently clean out garages when the trash and clutter becomes too much. All you need to do is let us know what you want us to take, even that old dining room set you meant to refurbish for the past 10 years, and we will haul it away for you. Reclaiming your yard, garage, or house from junk doesn’t have to stop when we haul it away. We offer a variety of cleaning services to restore your home to a clean, liveable place again. After the haul-away, we can also clean out the dust, wash windows, clean carpets, or whatever cleaning you need done. We even offer refrigerator clean-outs! Anyone with too much trash in their home, garage, or yard! Estimates are free, so why not get yours today?